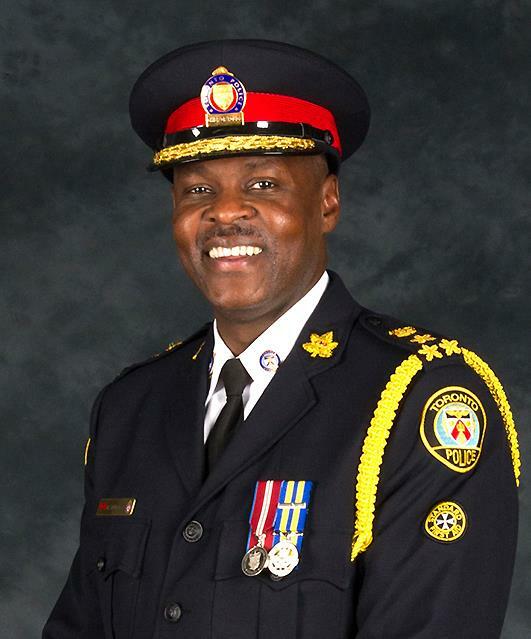 Recognizing current trends in technology, in his capacity as Deputy Chief, Chief Saunders created an investigative cyber crime Unit called “C3”. This investigative unit was developed in order to maximise the use of technology in policing. Chief Saunders is committed to continuous education and has recently completed a Justice Studies Bachelor of Arts degree at Guelph Humber University. He has also completed the Leadership in Counter Terrorism Course (LinCT). Chief Saunders is also active in community organisations and is currently serving on the Board of Directors at Covenant House Toronto. He is currently the Co-Chair of the United Way Campaign Cabinet and Vice-patron of the Good Neighbours’ Club. Chief Saunders lives in Toronto with family. He is an accomplished photographer and often donates his work to charitable organisations.